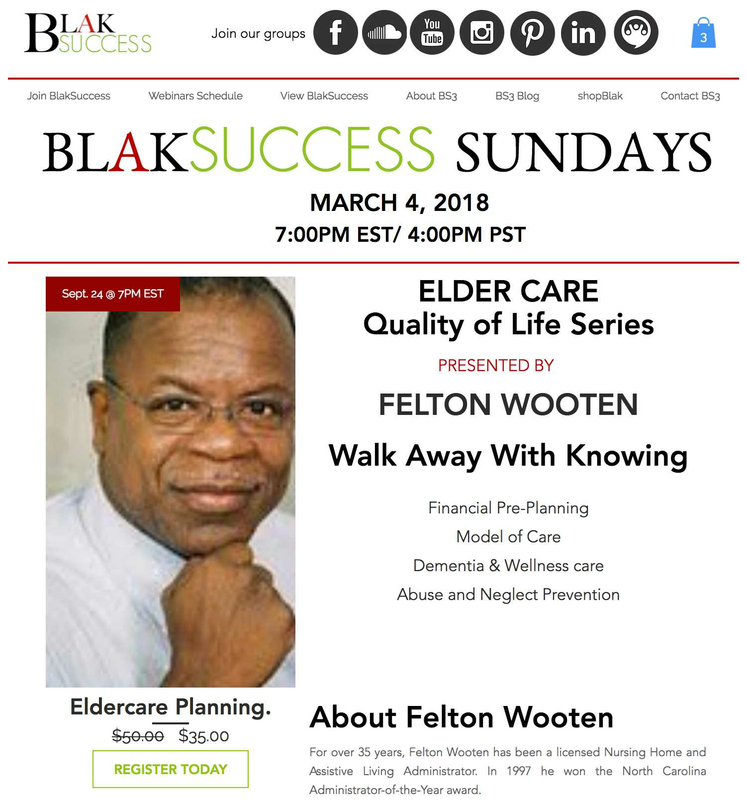 BlakSuccess Sundays: Elder Care Planning webinar. Felton Bernard Wooten (Felton Wooten) Has an extensive 35+ years in elder care management and planning. A wealth of information that has helped me with my caregiving role. Join us this Sunday at 7PM and have your questions ready. Welcome to BlakSuccessMeet Kori RaishonWhat is BlakSuccess?Why BlakSuccess? Our courses?How to be a viewer?How to be a presenter? We have made some changes for the fall and into the future. We planed and tested and here is where we are going. Starting this month It Gets D'EE'P. Join us on this new journey by joining our email list. Become a member for free. Experience a course of excitement through content. We are here to support, to empower and to expose businesses to a world audience. 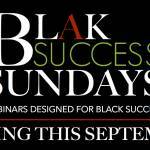 Blak Success is a division of Double EE Productions, LLC. Here is where we expose and build Blak businesses to compete in the digital arena. Providing business owners exposure along with the tools and knowledge to boost your position online.